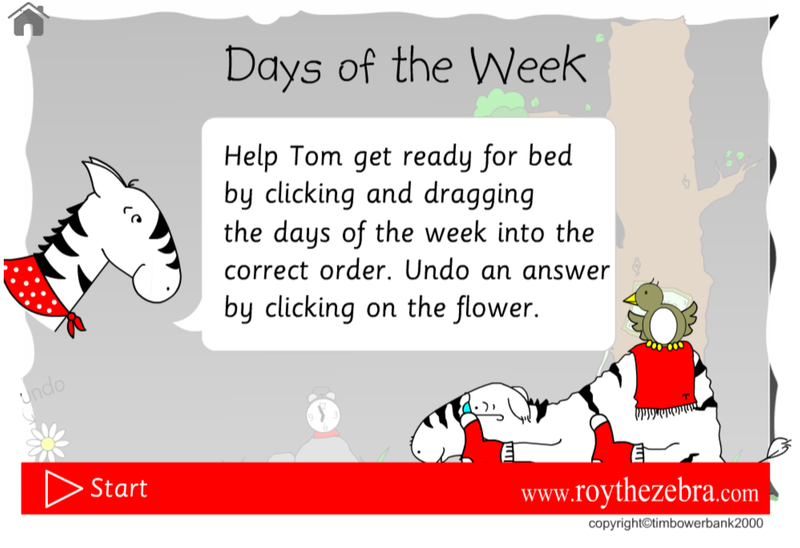 We’ve got two high frequency word games for you below - days of the week and months of the year. 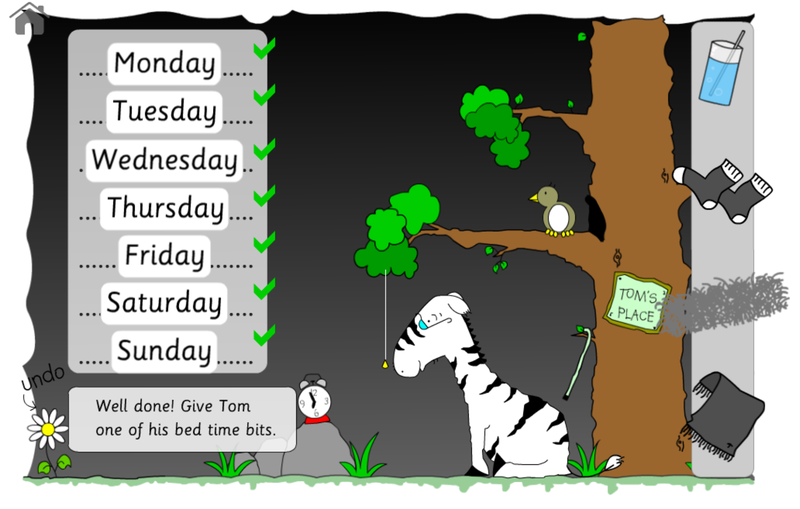 Help Uncle Tom get ready for bed by getting your days of the week in the correct order or your months of the year. Please register if you intend on using these reading games. In this days of the week reading game Ol' Uncle Tom lives at the safari park, he likes his creature comforts now he is older, like some nice hay to sleep on and some bed socks! Help sort the days of the week into their correct order and you'll be able to give Ol' Uncle Tom something for his bedtime. A high frequency words game, more versions of this reading game and other high frequency word games are available on Club Roy. Wait for the high frequency words game to load, once it is loaded read the introductory screen instructions and then click start. 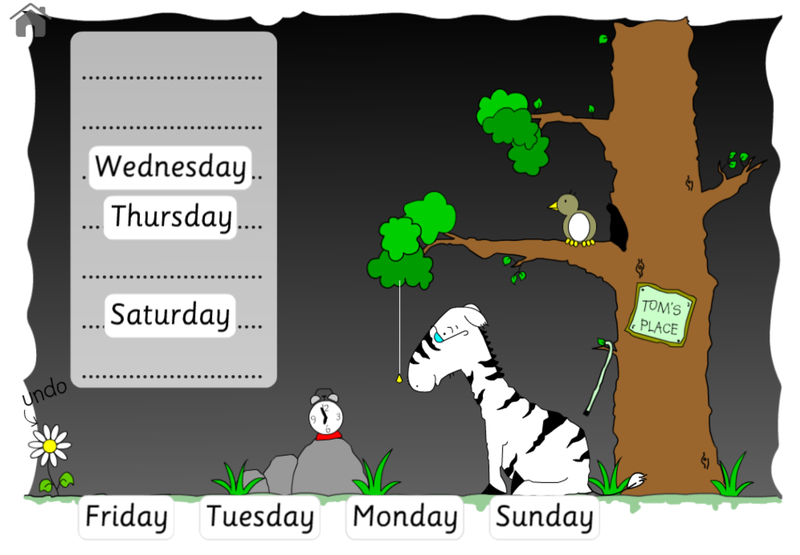 A box will appear with the days of the week in it, but wait... there are some gaps. Not all of the days of the week are there, the missing days are at the bottom of the screen. Drag them into the right places so that all the days of the week are in the correct order from top to bottom. The reading game will detect when you have placed the last word and will then automatically mark the answers. If you have the days in the right order then you'll get the chance to give Ol' Uncle Tom one of his bedtime bits (for example a glass of water). To do this, drag the item from the side box on to Uncle Tom. He'll be very pleased with you! 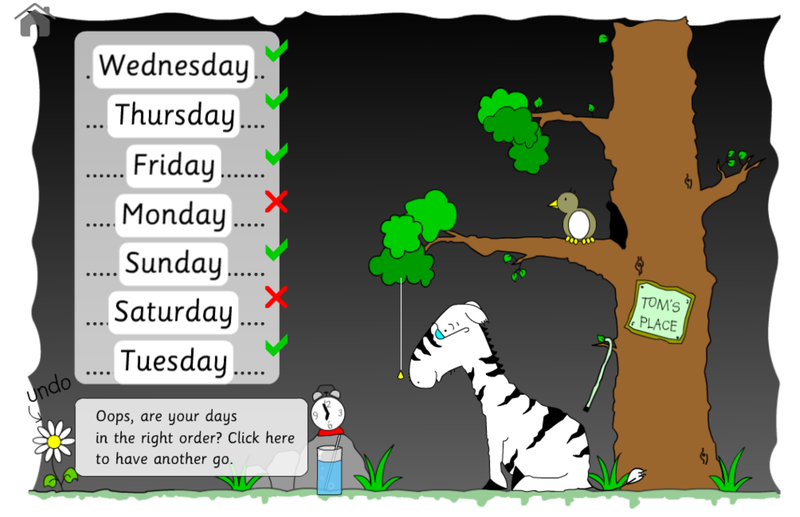 If you don't get the days of the week in the correct order first time then don't worry you'll get another chance to re-order them. If you accidentally drag a day into the wrong position then you can click the flower at the bottom left of the screen to undo the last dragged day. Keep going with the reading game until Ol' Uncle Tom has all his bedtime bits for a perfect nights sleep. Animated Ol' Uncle Tom, animated bird, draggable days of the week, sounds effects and a nice easy to use interface, uses high frequency words. Can be played on iPads, Android devices and desktop plus laptop PCs and Macs. Compatible with the following browsers - Internet Explorer, Chrome, Firefox and Safari. 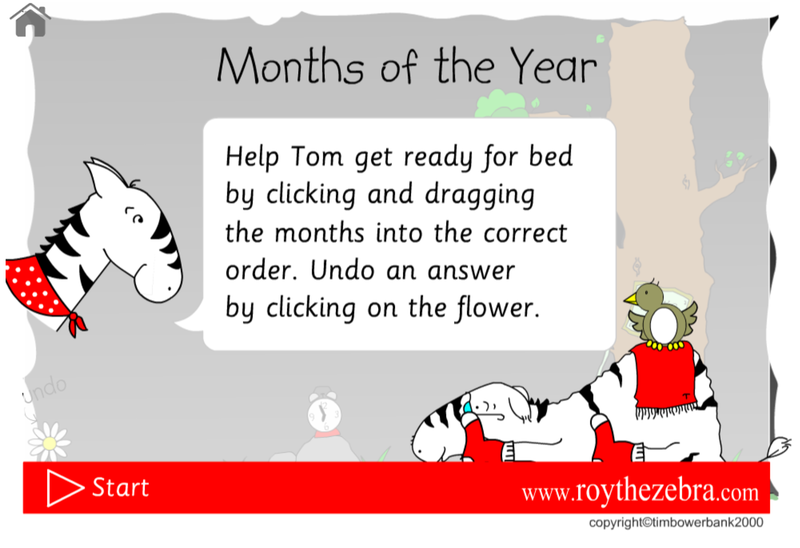 This time Ol' Uncle Tom is waiting for you to help him sort the months of the year into chronological order. 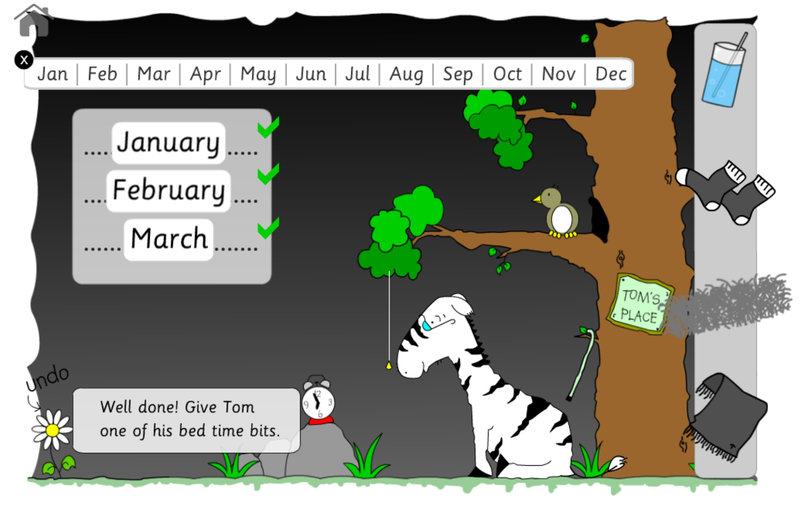 Once you get the months into the right order you can give Uncle Tom one of his bedtime bits that will help him sleep well. Load the high frequency words reading game and wait for the introduction screen. Read the instructions on this screen and then click the start button. 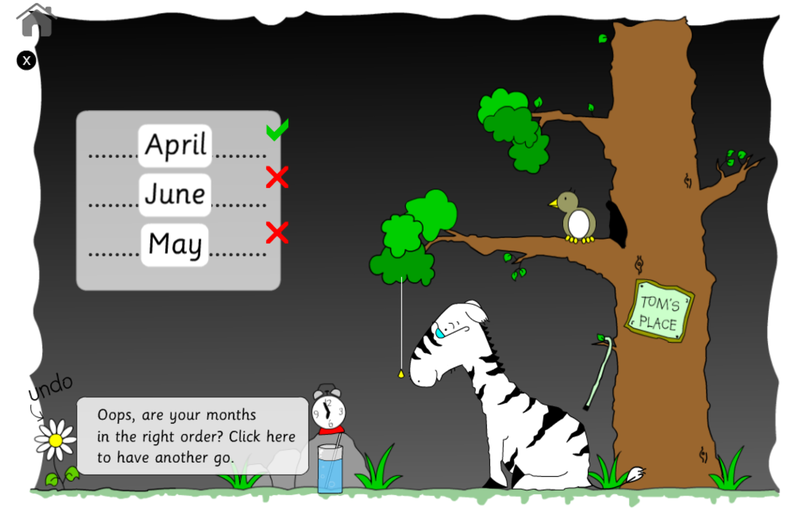 Look at the months at the bottom of the screen and click and drag, or touch and drag, them into the box. Be careful you need to get them in the right order. If you need some help then use the calendar bar above the main box. If you're feeling really clever then you can close the calendar by clicking the cross. 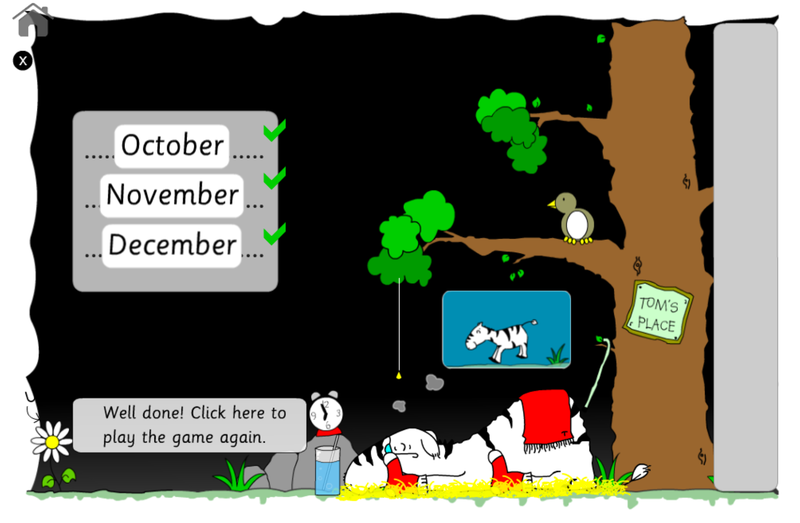 The game will automatically mark itself when you have finished dragging and dropping the months. If you have got the months in the right chronological order then you will be able to give Tom one of his bedtime bits, for example, a nice glass of water. If you haven't got them in the right order then you will get another chance to re-order them. If you make a mistake, then no worries, all you need to do is to click the flower in the bottom left-hand corner of the reading game and it will undo the last month dragged. Keep dragging the months until Tom has all of his bedtime things. He'll then be able to have a good nights sleep and dream of being young and running in the savanna! 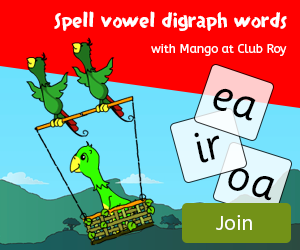 There are lots of games that tackle high frequency words on Club Roy - check out the link in the main navigation. This reading game features an animated Uncle Tom and his friend the bird. 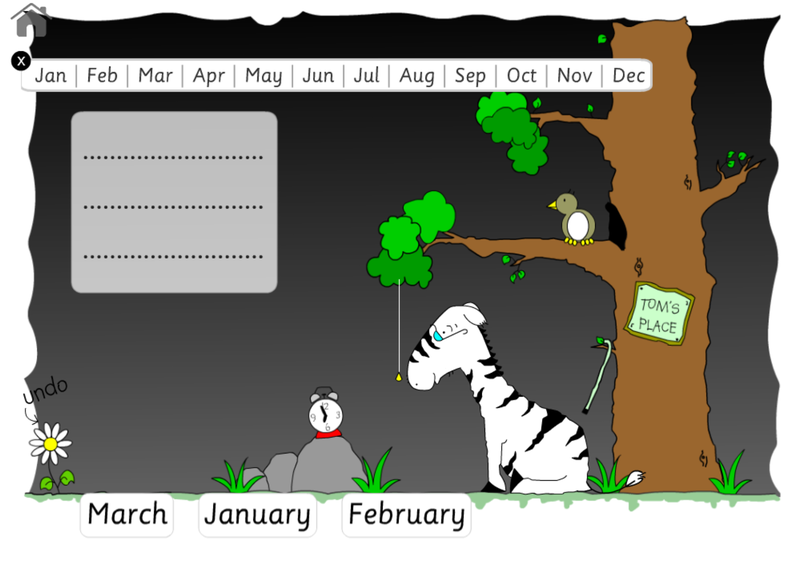 Hide and show animated calendar for helping first timers. Automatic marking. Sound effects. High frequency words game that is compatible with iPads, Android tablets plus PC and Mac desktops and laptops. Can be used with an interactive whiteboard easily. Plays nicely on the following browsers - Internet Explorer, Chrome, Firefox and Safari. We recommend using the latest browser version for your device.